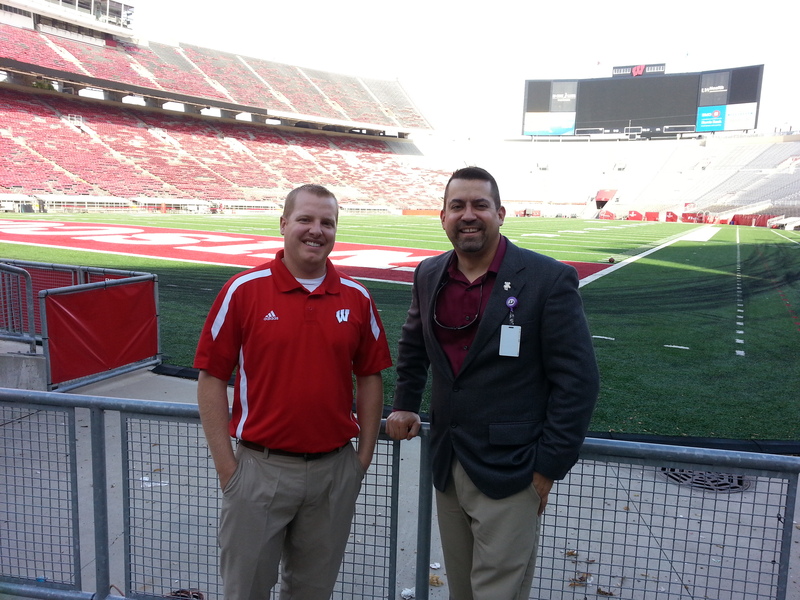 I recently met with Mr. Ben Fraser, UW-Madison Director of Guest Services, to discuss access and security considerations for large-scale events. Mr. Fraser shared a few pieces of the puzzle that comprise the vast security network for UW-Madison athletics. First, allow me to praise the outstanding security processes of UW-Athletics. As a fan and also someone with a depth of knowledge in security, I was clueless as to how intricate and refined the safety measures are for UW-Athletics. I appreciate everything they do to ensure safety of fans, players and workers. Mr. Fraser shared two recent changes in event security. The first is a heightened awareness of unattended bags and the second is the implementation of a facility management texting system. He pointed to a corner of Camp Randall Stadium where a permanent sign was located with a number patrons could text to report to anything from spilled food in their seat area to suspicious activity. Via a central processing hub, event security personnel can be dispatched instantly to any area of the stadium. Per Mr. Fraser, the system has been in place for a couple of years and is becoming more known by patrons. In essence, it’s adding 80,000 security observers to a Badgers football home game! I’m a proponent for high schools utilizing text-based incident reporting systems due to the reality that contemporary secondary athletic stadiums and field houses are expanding capacities to accommodate thousands of fans. I work in a school district of 3500 students and it’s not uncommon to have 5000 people pack the new football stadium on a Friday night! In a time when the spotlight is upon school safety, text-reporting systems are a solution for expanding the role of the spectator to spectator-observer-reporter. Additionally, the forensic review of reporting will identify patterns of event concerns and “hot spots” that warrant additional supervision. ABOVE: Ben Fraser and David Perrodin at Camp Randall Stadium in Madison, Wisconsin.